Our students, faculty, staff and alumni are helping evolve the modern workplace. Our flexible, interdisciplinary major lets students pursue a wide range of academic interests and careers: business, economics, government, history, international relations, labor relations, law, public policy, and social justice. We offer internship, study-abroad, and research opportunities throughout the world. Choose from five graduate degrees that fit any stage of your career. From students straight out of college, to professionals working for over 20 years – we have your program. Earn your master’s while you continue to work, or take a break from your career and immerse yourself in the graduate school experience. You can study at our Ithaca campus, in New York City, or even online. We have a program to match your needs and take your career to the next level. We focus on solutions to the challenges facing businesses and government today, we help you learn and take your career to the next level. It is core to our mission to extend Ivy-League education to all who seek it. You can choose from a wide range of professional and academic programs, grounded in practice and focused on real-world application. Our programs are led by instructors with a unique blend of business and academic experience. Workshops range from one to three days and can be taken individually or as a series to complete a certificate. After taking social justice classes, senior is planning a career in disability law. ILR’s Semester in Dublin gives students up-close experiences with issues such as Brexit. 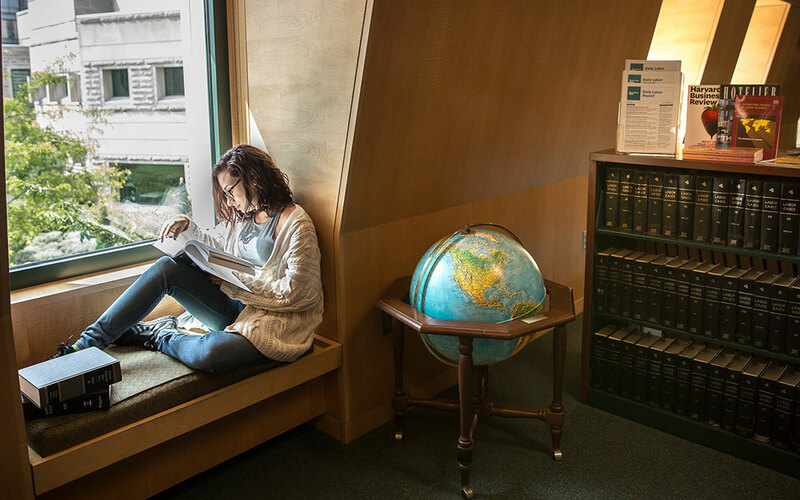 The Martin P. Catherwood Library at the ILR School is the most comprehensive resource on labor and employment in North America, offering expert research support through reference services, instruction, online guides and access to premier collections.